Amount of products in your store is growing as well as your business grows and it becomes hard to maintain a huge amount of thousand products in admin panel. If you faced with such issue you probably need to try product export in CSV or XML and then import it as well we described in our previous article. 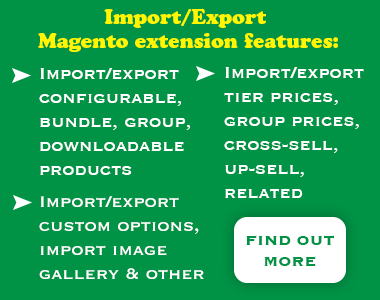 Here we are describing how to export product from Magento in CSV or XML.